The year 2011 brought on a lot of changes in the auto law context such that litigators in this field may wish that they had a GPS to navigate through all of the nuances of the issues presented. 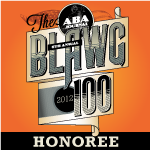 What follows is a Mapquest of sorts outlining the important cases and trends of the past year in this area of the law. Over the past year, there continued to be a growing split in the road of authority in the trial courts across the commonwealth in terms of whether post- Koken lawsuits, involving negligence claims against the third party tortfeasor and contract claims against the UIM carrier, should be allowed to proceed in a consolidated fashion or not. Currently, there are at least 15 county courts of common pleas in favor of the consolidation of cases and at least 16 county trial courts in favor of the severance of post- Koken claims. To date, there still has not been any case that has gone up and provided appellate guidance on how to handle this issue. On April 8, in the case of Bingham v. Poswistilo, Judge Terrence R. Nealon of the Lackawanna County Common Pleas Court issued the most thorough opinion to date on the issue of consolidation versus severance of third-party claims and UIM claims in post- Koken matters. Concisely, Nealon held in Bingham that tort and UIM claims can be joined under Rule 2229(b) since (1) the tortfeasor and UIM insurer may be "separately" liable to the plaintiff, that is, the tortfeasor up to the liability coverage limits and the UIM carrier for any amount in excess of the liability coverage, (2) both claims arise out of the same occurrence and (3) both claims involve common questions of fact or law affecting the liabilities of the tortfeasor and UIM insurer. After reviewing the split of authority on the issue of consolidation versus severance of claims from around the Commonwealth, as well as the split of authority on the issue in his own county of Lackawanna, Nealon came down on the side of allowing for the consolidation of such claims, largely as a promotion of judicial economy in the discovery processes. At the preliminary objections stage of the matter, the Bingham court felt that the better approach was to leave the cases consolidated for at least discovery purposes as a matter of judicial economy and to lessen the burden and expenses on the parties and the court. As for the evidentiary issue(s) involving insurance that may come into play when a consolidated case of a third-party claim and a UIM claim reaches trial, Nealon concluded that issue was a later matter to be determined by way of a motion for bifurcation of the trial presented to the presiding trial judge rather than a matter to be decided at the preliminary objections stage. On June 10, Lackawanna County Judge Robert A. Mazzoni followed Nealon's decision in Bingham with his own decision in a case where I represented the UIM carrier, Richards v. McPhillips. A detour in this case separating it from the normal route of taken by post- Koken cases on the consolidation versus severance issue was that there were punitive damages allegations asserted against the third party tortfeasor based upon the allegation that the tortfeasor was operating his vehicle under the influence of heroin and/or was otherwise impaired. In Richards, Mazzoni ruled the case should remain consolidated for purposes of discovery as a matter of judicial economy. With regards to the punitive damages issue, the court felt that the claims against the tortfeasor and the UIM carrier were separate and distinct and, "[i]n in carefully managed trial, the trial judge can minimize and/or eliminate the potential for prejudice or confusion" against the UIM carrier with respect to the punitive damages claims asserted against the co-defendant tortfeasor." However, as did Nealon in his prior decision, Mazzoni stated, although the case was kept consolidated for discovery purposes, he would leave the door open for the presentation of motion for bifurcation of the third party negligence claims and the UIM claims at the time of trial. Two years ago, the Pennsylvania Superior Court upheld the UIM carrier's forum selection clause requiring a post- Koken UIM lawsuit to be brought in the county of the insured's legal domicile at the time of the accident in the case of O'Hara v. The First Liberty Ins. Corp. While the O'Hara decision served to answer the question of proper venue in a post- Koken case where the UIM carrier's policy contained a forum selection clause dictating where the venue should be, an open issue remained as to proper venue in post-Koken cases where there was no forum selection clause found in the UIM policy at issue. That open question was answered this past year on July 25 when the state Superior Court handed down its opinion in the post- Koken case of Sehl v. Neff. For full disclosure purposes, I note that I wrote the amicus curiae brief for the Pennsylvania Defense Institute in this matter. In this post- Koken venue case in which the UIM policy did not have a forum selection clause, the plaintiff filed suit in Philadelphia County even though the tortfeasor defendant did not reside and was not served in Philadelphia County and even though the accident did not occur in Philadelphia County. The plaintiff argued that since the defendant UIM carrier could be sued in any county in Pennsylvania under the venue rule of Pa.R.C.P. 1006 and 2179 on the basis that the carrier conducted business in every county, venue for the claims against the defendant tortfeasor could also be joined and filed in any county along with that UIM claim. The Superior Court rejected this notion. In so ruling, the Superior Court also disagreed with the plaintiff's contention that the defendant driver and the UIM carrier could be considered to be jointly and severally liable under the venue rules so as to support the plaintiff's effort to sue both parties in a single county of the plaintiff's choice. To the contrary, the Superior Court agreed with the trial court's ruling that the tort claims against the defendant driver were separate and distinct from the contract claims against the UIM carrier. As such, the court found proper venue in cases where the UIM carrier's policy did not have a forum selection clause would be proper in the county where the defendant tortfeasor could be served, where the defendant tortfeasor resided, or where the accident occurred as venue against the UIM carrier was also proper in those counties as well. On April 28, the Pennsylvania Supreme Court handed down a 3-3 plurality decision, with Justice Joan Orie Melvin having recused herself from the matter, in the household exclusion case of Geico v. Ayers, which decision served to affirm the Superior Court's ruling that an insured was barred by the exclusion from collecting stacked UIM benefits to compensate him for injuries sustained in a motor vehicle accident. In this matter, the Geico insured had two motorcycles and two pickup trucks on separate policies. Litigators were anxious to see how the high court would rule in Geico v. Ayers, a case the Supreme Court accepted to address whether an insurance company can deny inter-policy stacking to an insured who has all of his or her vehicles insured through the same company on separate policies but had not waived stacking. The plaintiff, who was involved in an accident while on one of the motorcycles, was denied UIM benefits under the separate policy insuring the pickup trucks. Geico cited the household exclusion in support of the denial of benefits. The household exclusion basically states that the insurance company that issued the policy does not have to provide coverage for accidents involving another vehicle in the insured's household; the vehicle is covered by another, different insurance company. The plaintiff has argued that the exclusion was invalid in this matter since Geico insured all the vehicles but had required the injured party put the motorcycles on a separate policy. Stated otherwise, the injured party apparently would have kept all of the vehicles on a single policy for stacking purposes if permitted to do so. The trial court had agreed with the injured party's argument and invalidated the exclusion. The Superior Court reversed in a memorandum decision. The Supreme Court's plurality opinion serves to affirm and uphold Superior Court's decision upholding the carrier's application of the household exclusion to deny stacked UIM benefits in this context. In the case of Heller v. Pennsylvania League of Cities and Municipalities, a 2-1 Commonwealth Court panel previously ruled that a person receiving workers' compensation benefits may be subject to a workers' compensation exclusion and was thereby precluded from also recovering underinsured motorist benefits for a work-related car accident. This decision was recently reversed by the state Supreme Court under Heller. The Heller case involved a police officer who had been injured in a motor vehicle accident during the course of his employment and received workers' compensation benefits. In response to a declaratory judgment action on the issue of coverage, the majority of the Supreme Court basically ruled in Heller that, although the workers' compensation exclusion in the employer's liability policy did not violate any express provisions of the Pennsylvania Motor Vehicle Financial Responsibility Law or the Workers' Compensation Act, the "workers' compensation exclusion in an employer-sponsored insurance policy violates public policy and is, therefore, unenforceable." More specifically, the majority found that to enforce the exclusion would render the purchased coverage illusory. In a strong dissent, Justice Thomas Saylor cautioned against the judicial rewriting of insurance contracts and noted that the striking of clear contractual provisions should be the exception rather than the rule lest the floodgates be opened based upon public policy arguments. Saylor suggests that these types of issues should be left for the legislature or administrative agencies to struggle with. While a specific workers' compensation exclusion was voided in Heller where the exclusion appeared in an employer's UIM policy, a challenge against an injured party's ability to recover both UIM was upheld last year in the separate context involving an injured employee's personal automobile insurance policy. In the case of Erie Ins. Exchange v. Conley, the Superior Court affirmed a trial court decision by Allegheny County Court of Common Pleas Judge Alan D. Hertzberg in which the trial court ruled in favor of the carrier's denial of an injured party's claim for UIM benefits where the injured party had previously received workers' compensation benefits for the same injury. Interestingly, Nealon issued his own decision on the same issue on the same day as Hertzberg's decision — and with the same result — in the case of Petrochko v. Nationwide. In granting the motion for summary judgment in favor of the UIM carrier, Nealon noted that the issue presented had not been previously addressed by any appellate court in Pennsylvania. Hertzberg's decision went up the appellate latter first and was affirmed by the Superior Court. Nealon's decision in Petrochko on this issue was also recently affirmed by the Superior Court in a nonprecedential opinion in which the appellate court basically adopted Nealon's opinion. These courts all held that where an injured party was entitled to recover workers' compensation benefits as a result of the subject accident, that injured party could not also recover UIM benefits under the provisions of the UIM policy. More specifically, the courts relied upon Pennsylvania law and the provisions of the insurance policies at issue that limited UIM coverage to insureds who "are legally entitled to recover damages" from the underinsured tortfeasor. Since the third party tortfeasor in this case was immune from negligence liability to the injured party who was hurt during the scope and course of his employment under an application of the exclusive remedy provision of the Workers' Compensation Act, the injured party was not legally entitled to recover compensatory damages from the underinsured tortfeasor. Accordingly, it follows that no UIM coverage could be had under these circumstances. Both Nealon and Hertzberg did note in their respective decisions that, where the tortfeasor is a third party not associated with the injured party's employment, UM/UIM benefits may be pursued under appropriate circumstances. In its decision in Williams v. Geico, the state Supreme Court affirmed the lower courts' decisions that the "regular use" exclusion contained in a personal automobile insurance policy was valid to preclude payment of underinsured motorist benefits to a police officer injured in the course of employment while operating a police vehicle. In Williams, the injured party police officer was injured in a car accident on the job and presented a UIM claim to his own personal insurance carrier, Geico, because the Pennsylvania State Police did not carry UM/UIM coverage on its vehicles. Geico applied the "regular use" exclusion under its policy to deny coverage. In this case, the injured party police officer was challenging that exclusion and Geico's denial. In denying coverage, the Supreme Court relied upon the all-American adage that you can't get something for nothing. In other words, since the police officer did not pay a premium to Geico for any UIM coverage on the police car he was driving at the time of the accident, the officer could not recover UIM benefits for injuries sustained as a result of an accident involving the police vehicle under that Geico policy that separately covered his personal vehicle. The decision by the Supreme Court obviously has a major impact on all first responders, from police officers, EMTs and firefighters, who may all be driving out there without any UIM coverage under the current status of the law. With the Pennsylvania courts being unwilling or unable to remedy this situation, it remains to be seen whether the legislature will act on this issue. On Jan. 19, the Commonwealth Court issued an opinion in the case of Brown v. PennDOT, in which the court addressed the issue of sovereign immunity for PennDOT in an automobile accident case in which there were allegations that PennDOT was liable for failing to install rumble strips along a curved portion of the roadway where the injured party left the road and was involved in an accident. The case is noteworthy in that the Commonwealth Court agreed with the plaintiff's position that rumble strips, where they have been installed, must be considered part of the road. However, in favor of PennDOT, the court also found that where rumble strips had not been installed, as was the case in this matter, the absence of rumble strips did not create a defect of the highway, and PennDOT had no duty to install them. The Brown decision can be read in conjunction with the Commonwealth Court's recent decision in the case of Lambert v. Katz, with regards to the liability of PennDOT for conditions on highways. In Lambert, the Commonwealth Court held that, since the shoulder of roads are not considered portions of "roadways" lanes for travel, the condition of the shoulder of a road or the lack of a shoulder, cannot constitute a dangerous condition of highway for which PennDOT can be found liable. Two widely publicized trial court defense favorable limited tort decisions came down over the past year. On Feb. 2, Judge Linda Wallach Miller of the Monroe County Common Pleas Court entered a summary judgment in favor of the defendants in the limited tort case of Stout v. Deleo. The Stout case involved a plaintiff who lost control of his vehicle on an icy roadway and then was struck by another vehicle. The plaintiff alleged injuries to his shoulder, neck and back. He also noted symptoms down his right arm. According to Miller's opinion, the plaintiff did not go to the emergency room and did not begin to treat until he visited his family doctor a few days after the accident. The treatment thereafter was minimal and the plaintiff only took over-the-counter Motrin on occasion for his symptoms. Miller also noted that the plaintiff only missed three shifts of work as a police officer but was otherwise able to complete his job duties after the accident. In the separate limited tort case of Phillipi v. Carey, Judge Gary P. Caruso of the Westmoreland County Common Pleas Court granted summary judgment in favor the defendant. According to the opinion, the court found that the plaintiff's injuries were not serious where strain injuries to the neck and back were alleged along with some type of shock and nervous disorder as a result of the accident. The court noted that, although the plaintiff offered evidence that his standing and walking abilities were affected, there is no evidence of any restrictions as a result of the injuries. Accordingly, the defendants were granted summary judgment as the court found that no reasonable minds on a jury could differ that the plaintiff had not sustained a "serious injury" as that term is defined in this context. In the coming year, trends to watch for in the auto law context include the continuing development of the post- Koken common law, the increasing utilization of social media discovery efforts by litigators and the impact of the new Fair Share Act. 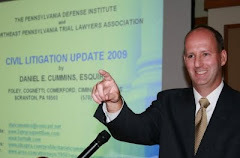 Daniel E. Cummins is a partner and civil litigator with the Scranton law firm of Foley Cognetti Comerford Cimini & Cummins. His civil litigation blog, "Tort Talk," may be viewed at http://www.torttalk.com/.